Edit: If you're reading this before July 25th 2015, use code CFSCON5 to get a massive 50% off! 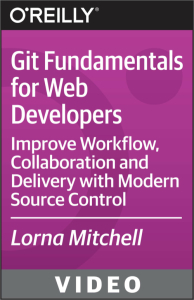 PS if you buy the course, please leave a review on the O'Reilly site so others know if it is useful and for whom .... I'd appreciate it! This entry was posted in php by lornajane. Bookmark the permalink. Have been watching free videos and it's great. I consider buying it. But you are talking and doing everything tooo fast. Had to pause all the time. Oops, hope it's not too fast. I try to keep the screencasts moving along because I know people can pause and repeat at their own speed, and it drags for everyone if it's too slow. Hopefully pausing and repeating is helping you to adapt the content to your own learning style and pace. I have one question, I'm kind of new to Linux as well, and recently I installed Xubuntu... how can I make my terminal to look like yours :) with all the colors and stuff (like highlighting in a different color the current folder in the prompt). I noticed my emulation setting is set to XTERM.